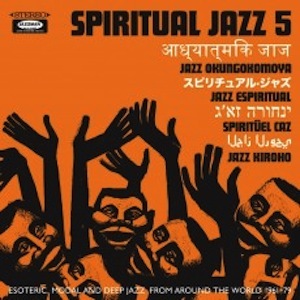 Jazz is a worldwide phenomenon in case anyone had not noticed and for the latest exploration of jazz music in a deeply spiritual vein, Jazzman have extended their search as wide as possible globally and this is by far the most eclectic of the volumes produced thus far. Music from India and Japan takes us on an excursion into eastern climbs while Latin America and the Caribbean feature prominently this time round. From Venezuela comes a modal number that is flute-led by leader and pianist Virgilio Armas and his quartet on ‘Sobre el Orinoco’ which commences as a dream-like waltz, but then suddenly shifts up a gear and morphs into a speeded up slice of retro bossa. Argentina is well represented here with some lesser known home grown talent and rightly so since it has a rich jazz heritage and proudly exported some of the most distinguished jazz musician exiles to the United States such as the late groove pianist Jorge Dalto who played with Tito Puente in the 1980s, tenorist Gato Barbieri who took on board the musings of both John Coltrane and Pharoah Sanders, and of course the wonderful pianist and arranger Lalo Schifrin. An excellent interpretation of Charles Davis’ composition ‘Half and Half (famously recorded by Elvin Jones on Impulse) by Chivo Borraro whets the appetite while the piano trio of Jorge Lopez Ruiz conjur up a subtle waltz in ‘Vicky’. Delving a little further into the Caribbean, Jamaica is best known from a jazz perspective as pioneering the sound of ska which was predominantly instrumental and this was heavily influenced by the sounds of American bop jazz that Jamaicans could pick up on their radios. There is an unusual take on Dave Brubeck’s anthem ‘Take Five’ by Oladepo Ogomedede, but rather than a reggae undercurrent as one might have expected, the rhythm section sounds more akin to a rustic calypso. An anthology of Jamaican reggae would make a wonderful future project. The sound of the Japanese koto have on occasion been used by jazz musicians and this instrument serves as the intro to a reflective piece composed and performed by drummer and band leader Hideo Shiaki and group and the combination of trumpet and saxophone in unison plus flute is a winner from start to finish. Indian classical music has been a very complimentary bedfellow for jazz, and John Coltrane and Ravi Shankar had a healthy respect for one another (the former naming his son in tribute to the latter musician) and so it proves on ‘Raga Rock’ by the Baaz Gonzalez Seven, a piece that goes through various mood changes and features some impressionistic flute. Somewhat less Indian sounding in form with a piano vamp over which percussion improvises is the second contribution from that nation in ‘Song for my lady’ by Louiz Banks. Arguably the most traditional eastern sounding composition on the album comes, surprisingly. from Australia and is the wonderfully evocative ‘Islamic Suite’ by the Charlie Munro quartet and it has something of a Middle Eastern dervish about it. Folk-based melodies have been regularly showcased on Jazzman releases and the contribution from Israeli group Jazz Work Shop bears a remarkable resemblance to some of the more recent work of current Israeli bassist and leader Avishai Cohen. The piece ‘Mezave Israel’ features some gorgeous soprano saxophone courtesy of Albert Piammento. South Africa has an exceptionally strong and long-standing relationship with jazz and of the two worthy contributions on offer, pianist Tete Mbamibsa. The United States is not forgotten and has of course featured in various previous volumes. Here the Paul Winter Sextet, who performed at the Whitehouse for JFK in 1962, offer a delicate modal waltz entitled ‘Winter’s song’. As with previous volumes in the series, there is the usual impeccably high standard of attention to detail in the inner sleeve notes which are meticulous in the information contained within.